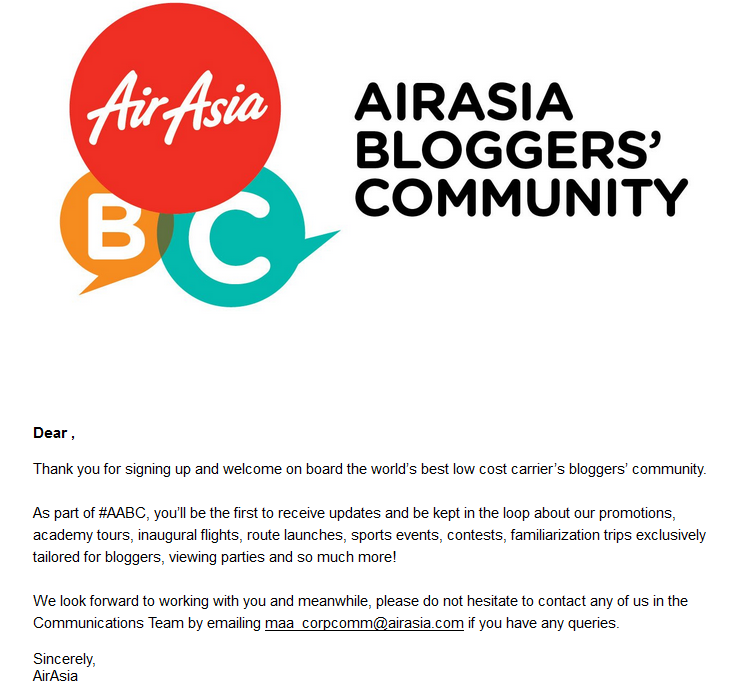 ♥ Fyra's The Travelover ♥: How to be a part from Air Asia Bloggers' Community? 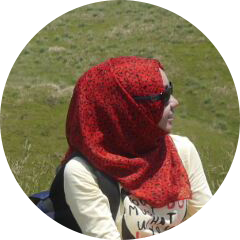 Yeayy!! I'm a happy girl!! Finally I've become one of AABC's. A very great opportunity for a travel blogger like myself. Detail: Briefly explain about yourself and your blog's link. 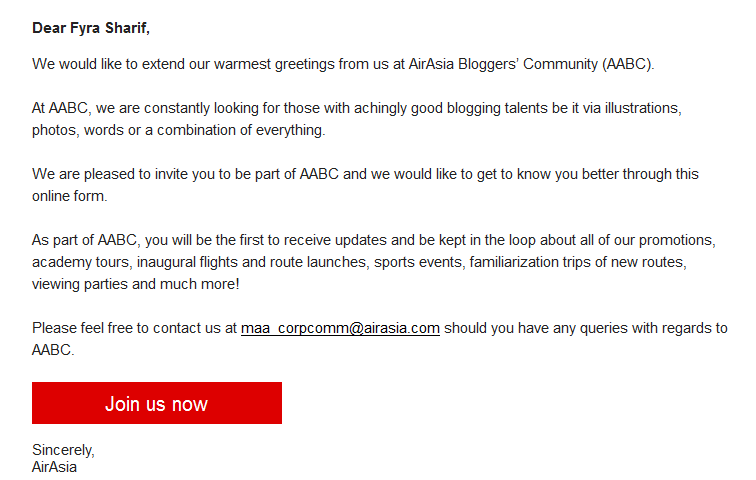 Then, the Air Asia team will reply to your email and send the invitation's. What you need to do is that, fill up the online form and that's it! Now you will be congratulate like I received as per picture below. So welcome on board guys!! Have a blast okay on signing up! nice info..thnks for sharing..lepas ni boleh lah saya apply..tq. Most welcome dear. hope this little info will help you.